Valvoline Cummins Private Limited (VCPL), one of the leading providers of premium branded lubricants in India, said it has reached a significant milestone of 100 million litres of sales in 2018. 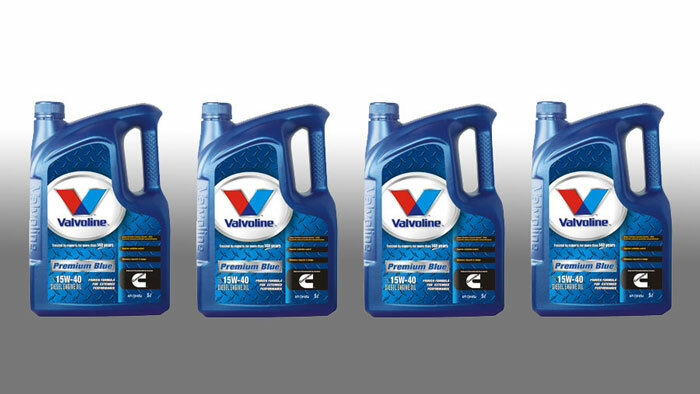 VCPL is a 50:50 joint venture between Valvoline International Inc. U.S.A. and Cummins India Ltd., and is engaged in the production, distribution and marketing of lubricants, grease and allied products in India. “I want to take this opportunity to thank our customers, business partners, employees and vendors for the continued trust and support in helping Valvoline Cummins reach this milestone after just 20 years in India. “Valvoline Cummins has always been in the forefront of technology, be it in providing lubricants and fluids for BSIII and BSIV or being ready to now drive into the BSVI regime that will soon come into effect. We have accomplished a lot together during our first 20 years. I would like to reinstate our vision to continuously innovate and power our customers’ growth by providing value-based products and services proactively,” said Sandeep Kalia, CEO of Valvoline Cummins. Valvoline Inc., which is headquartered in Lexington, Kentucky, U.S.A., is a leading worldwide marketer and supplier of premium branded lubricants and automotive services, with sales in more than 140 countries. Established in 1866, the company’s heritage spans over 150 years, during which it has developed powerful brand recognition across multiple product and service channels. Valvoline ranks as the No. 3 passenger car motor oil brand in the DIY market by volume. It also operates and franchises the No. 2 quick-lube chain by number of stores in the United States with more than 1,150 Valvoline Instant Oil ChangeSM centers and the No. 3 quick-lube chain by number of stores in Canada with more than 70 Great Canadian Oil Change locations. Cummins Inc., a global power leader headquartered in Columbus, Indiana, U.S.A., is a corporation of complementary business segments that design, manufacture, distribute and service a broad portfolio of power solutions. The company’s products range from diesel and natural gas engines to hybrid and electric platforms, as well as related technologies, including battery systems, fuel systems, controls, air handling, filtration, emission solutions and electrical power generation systems. Tags: Cummins Inc.,India,lubricants,Valvoline Cummins,Valvoline Inc.